Do holiday cheer a little different this year with these fabric decor accents! Tired of sweeping up after pine needles, glitter, and faux snow? 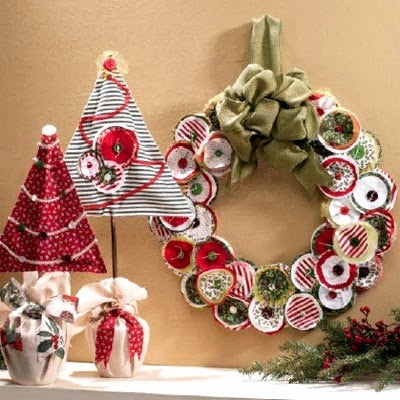 Try something a little different this year by crafting your Christmas decor accents out of fabric! You'll get all the seasonal motifs without the troublesome clean-up, and they're reusable year after year. All you need to do is find a few of your favorite Christmas fabrics, visit your sewing accessory drawer, and get to work! Learn how to make this wonderful Christmas craft by clicking here, then feel free to share it with your friends on Facebook or Pinterest!